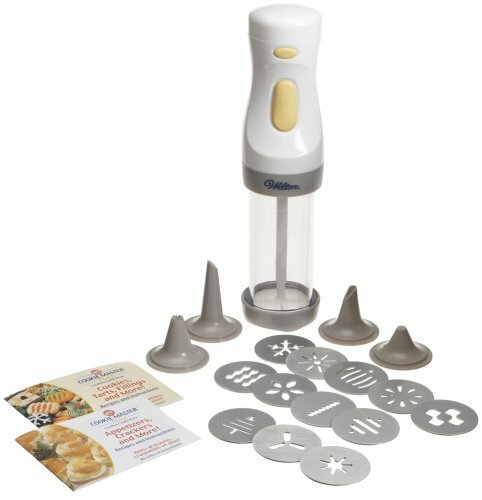 Our cordless cookie press is so powerful and easy to operate, you'll use it all year to create cookies, appetizers, desserts and more. 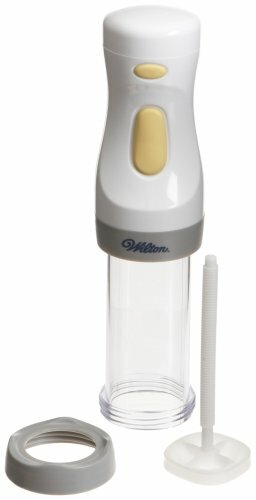 Exclusive patented reverse action means there's no need to take press apart for refilling. Ergonomic design is shaped to fit in your hand for excellent comfort. Perfect for making spritz cookies!